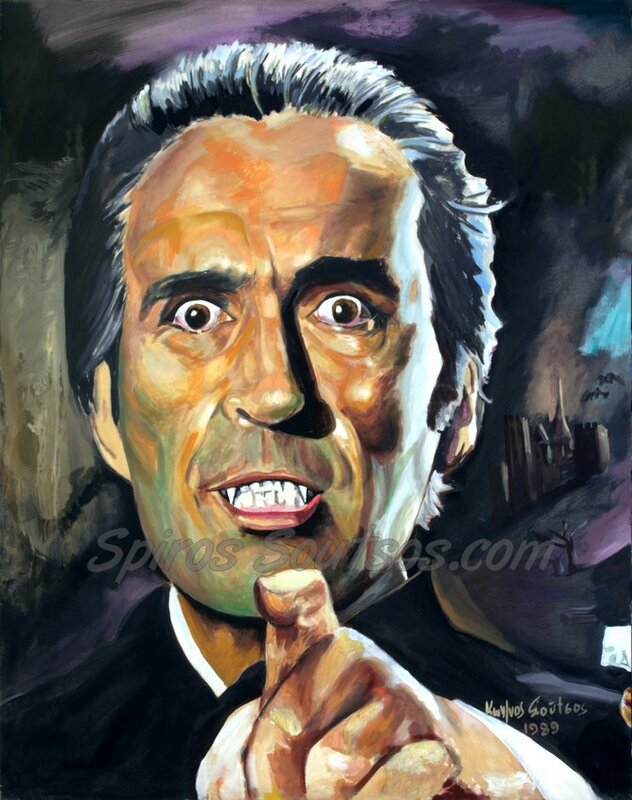 Christopher Lee : Sir Christopher Frank Carandini Lee (27 May 1922 – 7 June 2015) was an English actor, singer, and author. With a career spanning nearly 70 years, Lee initially portrayed villains and became best known for his role as Count Dracula in a sequence of Hammer Horror films. Lee’s first film for Hammer was Terence Fisher’s The Curse of Frankenstein (1957), in which he played Frankenstein’s monster, with Peter Cushing as Baron Victor Frankenstein. It was the first film to co-star Lee and Cushing, who ultimately appeared together in over twenty films and became close friends. Lee’s own appearance as Frankenstein’s monster led to his first appearance as the Transylvanian vampire in the film Horror Of Dracula (1958), based on Bram Stoker’s goth-romantic novel. He also played the role of Dracula in Hammer’s Dracula sequels, Dracula: Prince of Darkness (1965), Dracula Has Risen from the Grave (1968), Taste the Blood of Dracula (1969), and Scars of Dracula (1970). Although Lee may not have liked what Hammer was doing with the character, worldwide audiences embraced the films, and they were all commercially successful. 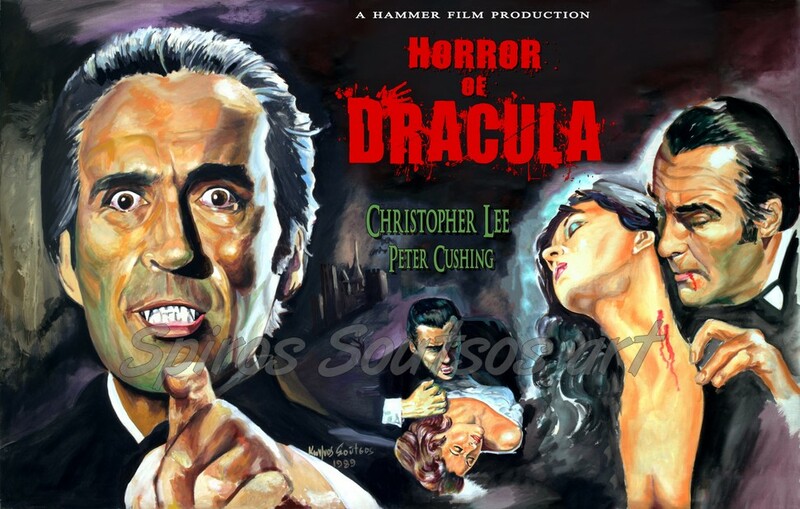 In the early 1970s ,Cristopher Lee starred in two further Dracula films for Hammer, both of which attempted to bring the character into the modern-day era. These were not commercially successful: Dracula A.D. 1972 (1972) and The Satanic Rites of Dracula (1973). His other film roles include Francisco Scaramanga in the James Bond film The Man with the Golden Gun (1974), Saruman in The Lord of the Rings film trilogy (2001–2003) , The Hobbit film trilogy (2012–2014), and Count Dooku in the final two films of the Star Wars prequel trilogy (2002 and 2005). Lee was knighted for services to drama and charity in 2009, received the BAFTA Fellowship in 2011, and received the BFI Fellowship in 2013. Lee considered his best performance to be that of Pakistan’s founder Muhammad Ali Jinnah in the biopic Jinnah (1998), and his best film to be the British horror film The Wicker Man (1973). In his late career, he had roles in six Tim Burton films. Always noted as an actor for his deep, strong voice, Lee was also known for his singing ability, recording various opera and musical pieces between 1986 and 1998, and the symphonic metal album Charlemagne: By the Sword and the Cross in 2010, after having worked with several metal bands since 2005. The heavy metal follow-up Charlemagne: The Omens of Death was released on 27 May 2013, Lee’s 91st birthday. He was honoured with the “Spirit of Metal” award at the 2010 Metal Hammer Golden Gods Awards ceremony.